The lights dimmed and the audience went quiet as the show opened up with MC College’s remix of ‘come with me now’ by Kungo. From mad-men inspired hair to bright orange lips and perfectly coiffed pompadours, students from MC College showcased their creativity at Sunday night’s Student Showcase, part of Western Canada Fashion Week. 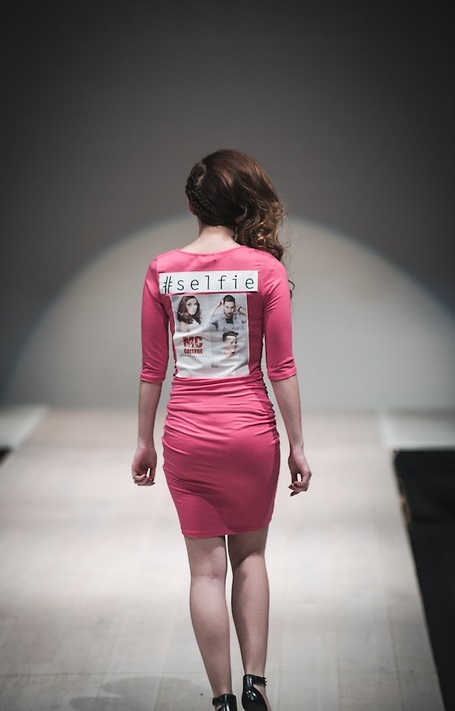 In the “selfie-themed” runway show, 14 models walked the runway as they wore outfits adorned with selfies. 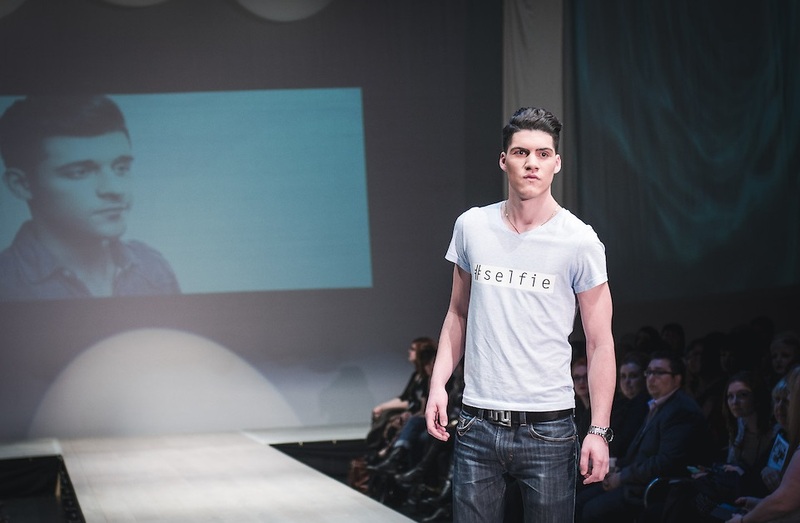 A ‘selfie’ is a photograph that one takes of oneself and shared on social networking sites. The showcase displayed avant garde looks, as well as the season’s hottest hair and make-up trends. From friends and family, to photographers and fashion bloggers, the show, which was held at the ATB Financial Arts Barn, was sold out to a crowd of over 200 people. “This year’s show was completely different from anything we’ve ever done”, says MC College’s Hairstyling Instructor, Renato Candia. “The show was theatrical and mysterious”. Huge thank you to Heiko Ryll and Victoria Diaz from Guru Digital Arts for taking photos and video for MC College!